Vitiligo is a skin infection which is characterized by white patches on the skin, mainly caused by a defect in the skin pigment known as melanin. Melanin is responsible for producing skin color, and if this pigment does not function well, then it will lead to vitiligo. 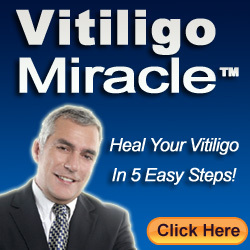 Vitiligo is common in areas of the body such as the face, mouth, lips, hands, legs and arms. Although there is no known total cure, vitiligo’s symptoms may be reduced with Ayurvedic treatment. The most commonly used herbal medicine for this skin disorder is called bavachi. In this treatment, bavachi paste is applied to the affected areas – these are the white patches – and after application, the areas are exposed to the sun’s rays for some time. The sun’s rays should be mild, and this can only be done at a specific time of the day. Bavachi is available in powder or tablet form. The medicine from this herb should be given with a gradual increase, followed by a corresponding gradual decrease in intake. Since vitiligo is related to a defective immune system, the Ayurvedic treatments that can be used to manage it are: yashtimadhuk (Glycerrhiza glabra), ashwagandha (Withania somnifera), and shatavari (Asparagus racemosus). There can also be some therapies done in Ayurveda for treating or at least minimizing the symptoms of vitiligo. They are the five-fold detoxification therapies in Ayurveda. Vamana is a type of medicated therapy done in ayurveda for removing the kapha toxins that are present in the body, as well as in the respiratory tract. This treatment, if followed daily, will help in loosening and mobilizing the toxins. 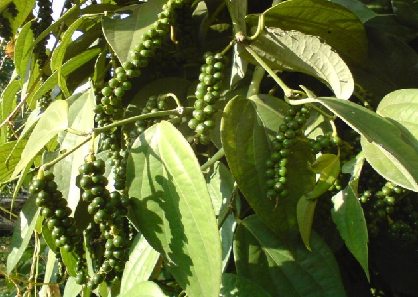 Here, the virechana type of medicated therapy is done in order to remove the pitta toxins which mostly accumulate in the liver and the gall bladder. Basti, which is also known as an enema, is the mother of all treatments that are included in ayurveda as it clears all the toxins that accumulate in the organs. The medicated therapy which is done here is nasya, in which oil will be poured into the nose in order to clean the toxins which accumulate at the head and in the neck region. This treatment can be carried out for 10 days, depending on the condition of the patient. The procedure which is followed here is known as the rakta mokshana. It will help in cleansing the blood and is recommended only in some rare conditions. By following these Ayurvedic methods, there will soon be a noticeable change in the condition.